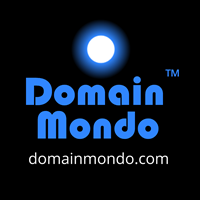 Domain Mondo | domainmondo.com: What Is WSIS+10? WSIS Is Not ISIS, but ICANN Is From Switzerland! What Is WSIS+10? WSIS Is Not ISIS, but ICANN Is From Switzerland! Tomorrow is the opening of the UN General Assembly (UNGA) high-level meeting commonly referred to as the culmination of WSIS+10. What is WSIS+10? First, WSIS is the "World Summit on the Information Society" [2003-2005], and it has no connection, real or imagined, with the group commonly referred to as ISIS or the "Islamic State in Iraq and Syria." 2015 | WSIS Review: "Paragraph 111 of the Tunis Agenda , endorsed by the General Assembly in resolution 60/252, requested the General Assembly to undertake the overall review of the implementation of the WSIS outcomes in 2015. In response, the General Assembly in resolution 68/302, decided that the overall review will be concluded by a two-day high-level meeting of the General Assembly, to be preceded by an intergovernmental process that also takes into account inputs from all relevant stakeholders of the World Summit on the Information Society." Internet governance: "Overall a discussion on the benefits and challenges of the multistakeholder approach in implementing the WSIS Action Lines is expected. In this context, the renewal of the mandate of the IGF [Internet Governance Forum] will be discussed ... 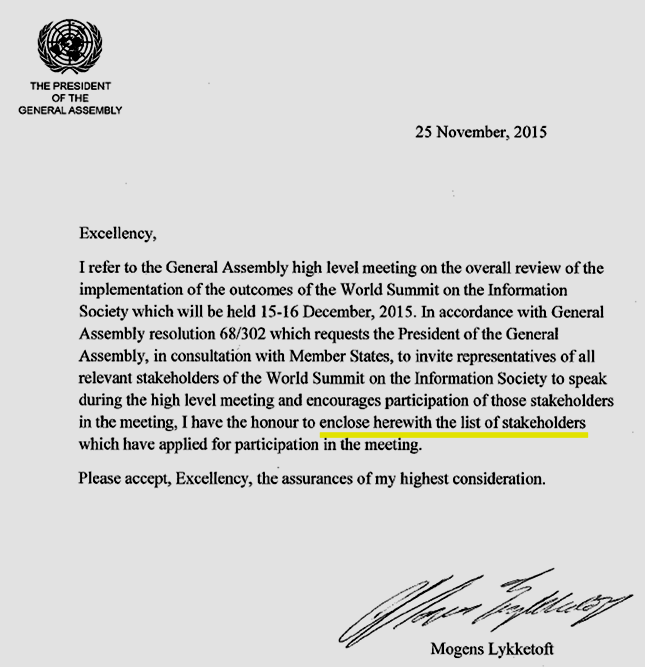 The notion of “enhanced cooperation” (paragraph 69, Tunis Agenda) will also be addressed. At the heart of the issue are very different views on whether “enhanced cooperation” is specifically about enhancing the role of governments in Internet governance, or whether it is about enhancing cooperation between all stakeholders, including governments." Fadi Chehade's dream wish of moving ICANN to Geneva, Switzerland, apparently came true!